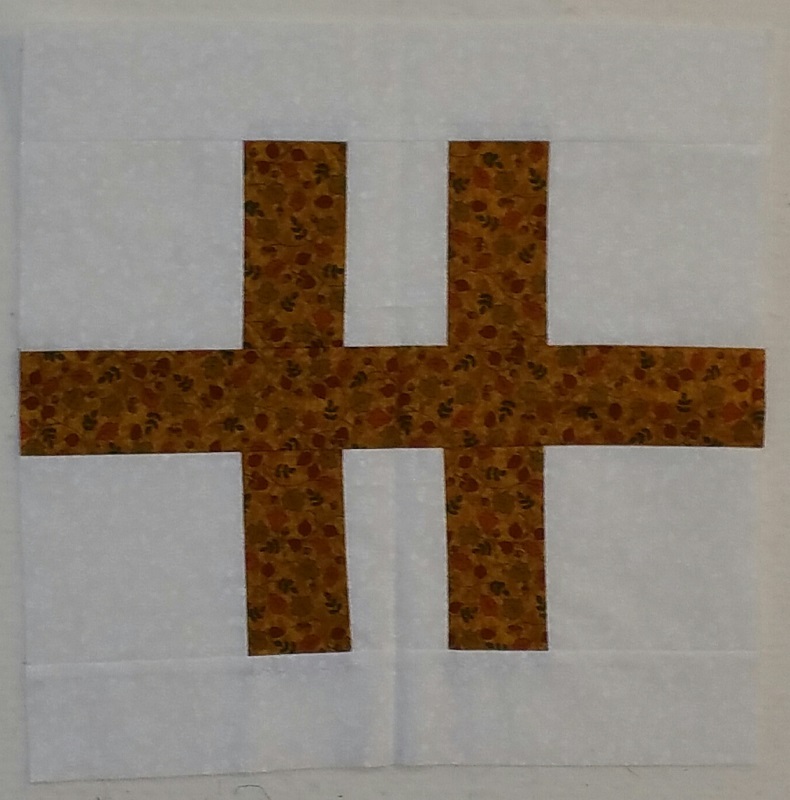 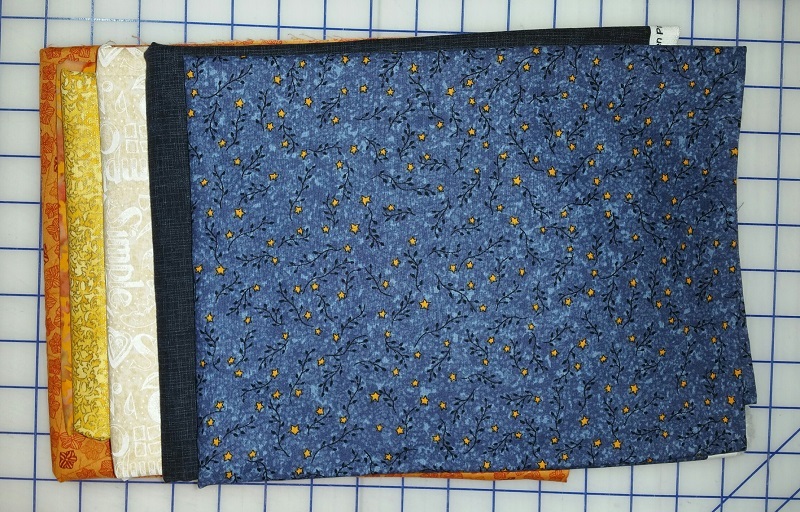 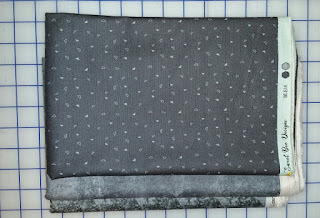 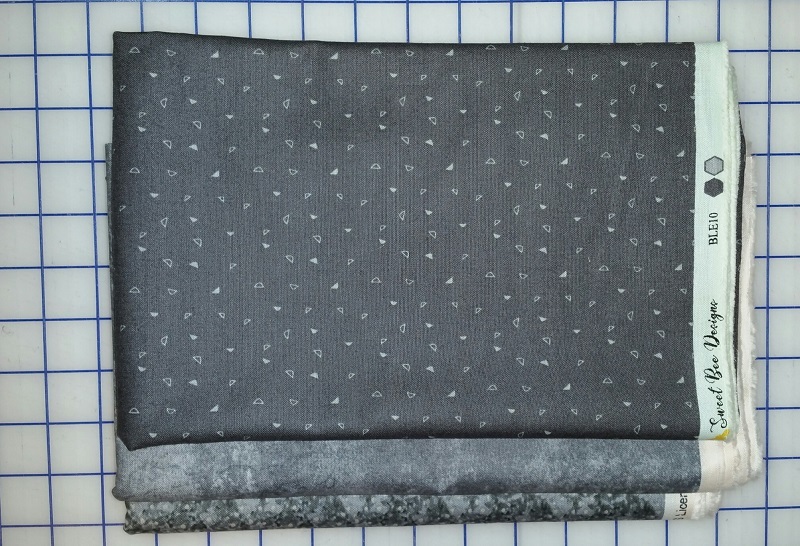 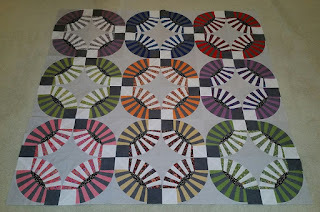 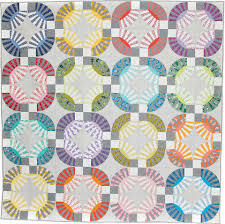 No changes this week, but did get my block done for Sunshine Quilt Guild meeting tonight. 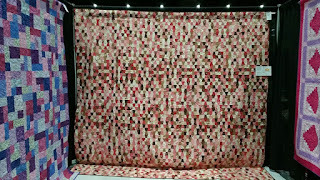 Also finished this week were two charity quilts that were started last week during our sew off at the San Diego Quilt show. 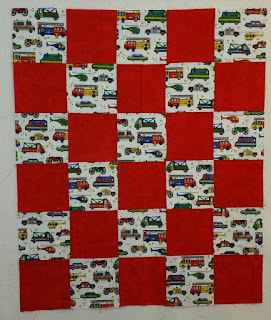 Hope to see some improvement in the numbers soon! 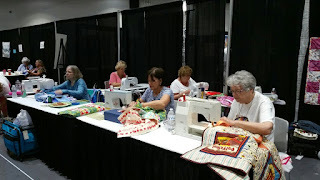 Busy Day at the Quilt Show. 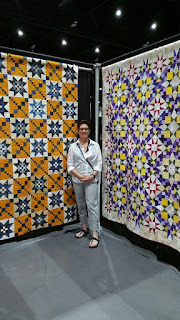 Sandi and I worked two shifts in the Sunshine booth to help make quilts for a competition to win some $$$ for the Guild. 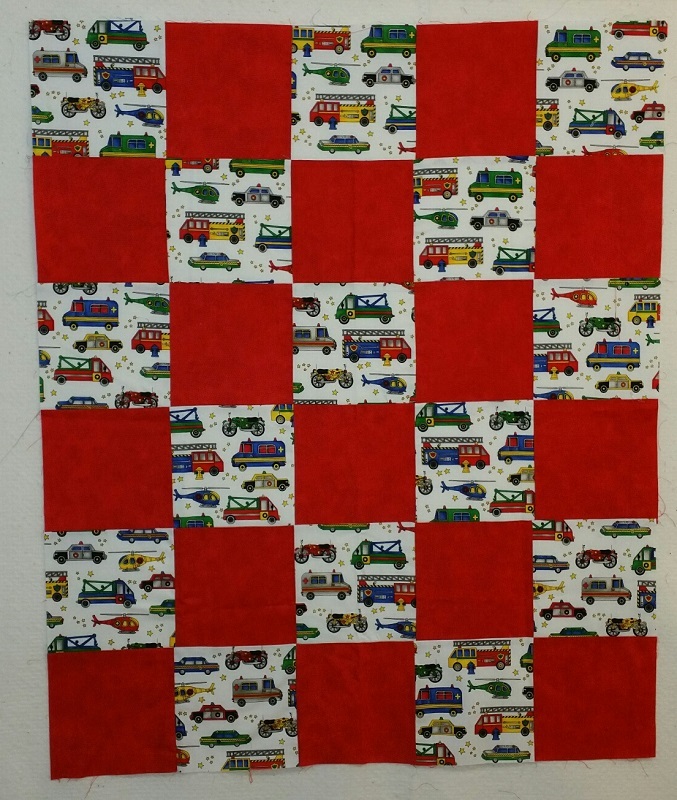 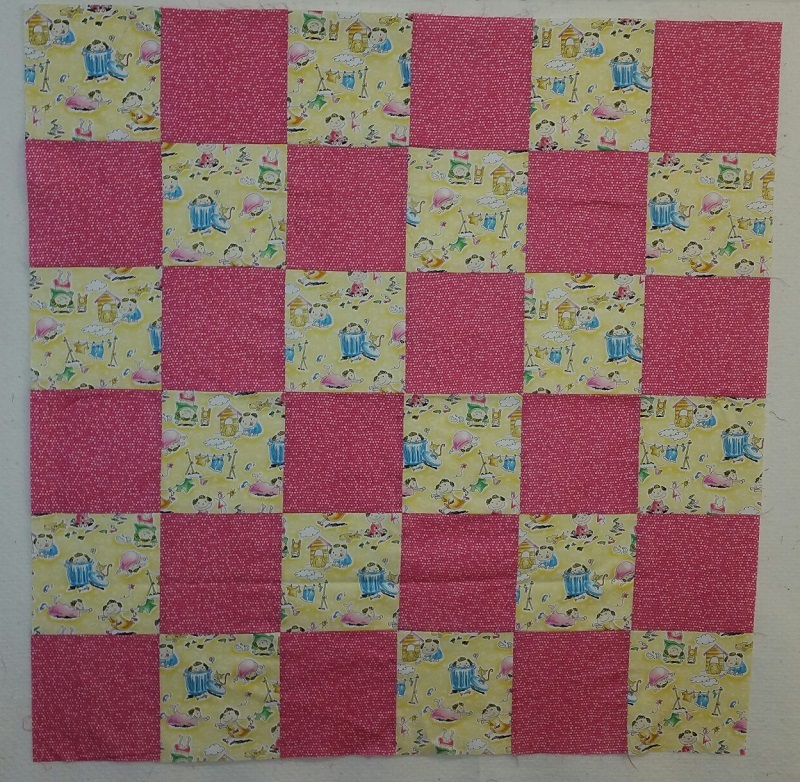 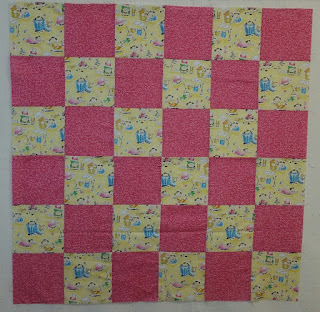 We finished up 21 quilts which will be donated to Becky's House. 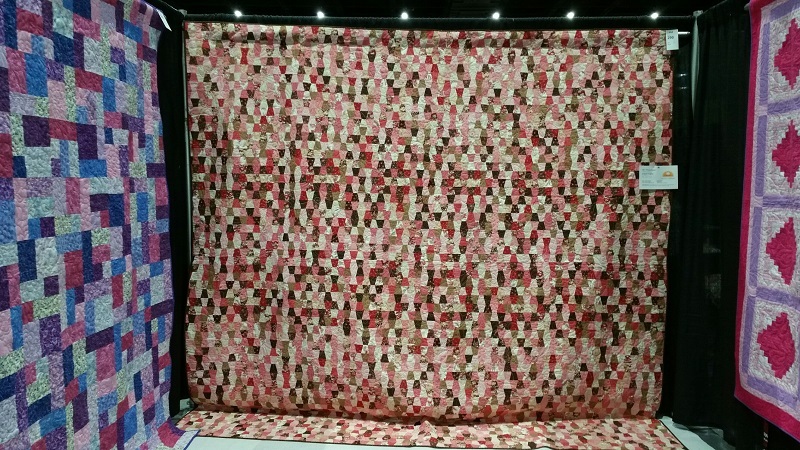 We will find out on Tuesday if we won the $$$ for the guild. 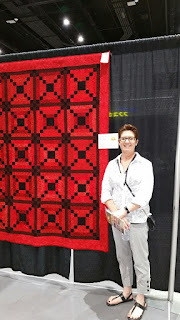 In between sewing in the booth, we took in the show and checked out our quilts that were hanging in the show. 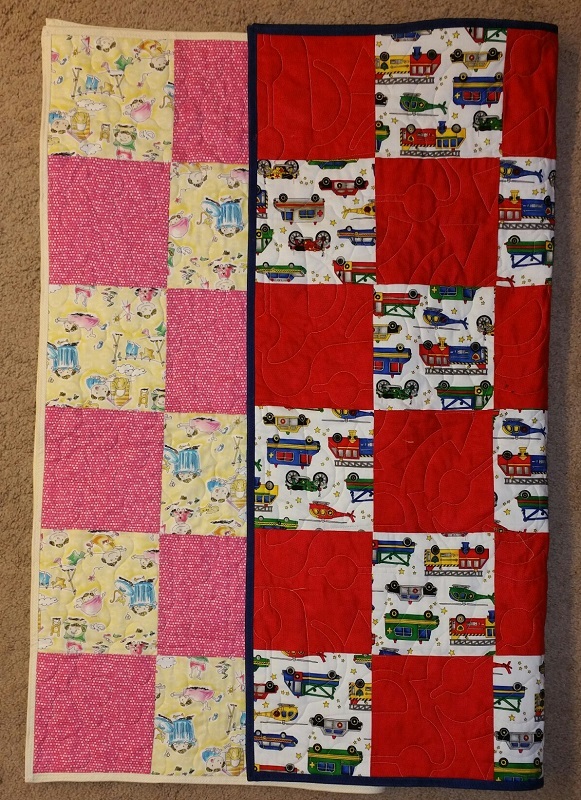 Sandi had 6 quilts entered and I had 3 entered. Below are a couple of Sandi's Quilts. 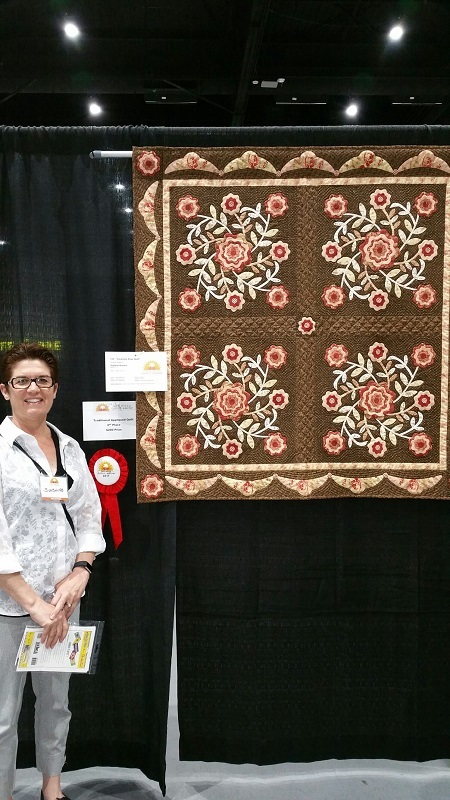 One of the quilts that I quilted for Joylene won a ribbon! 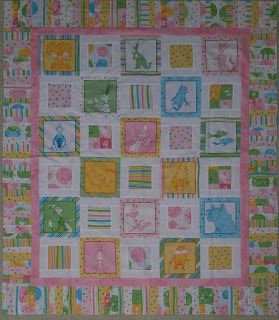 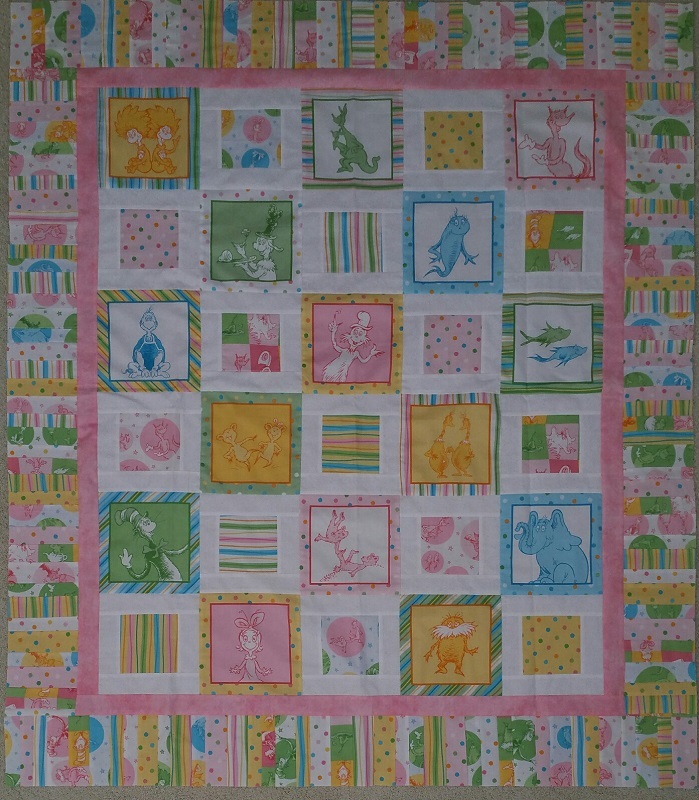 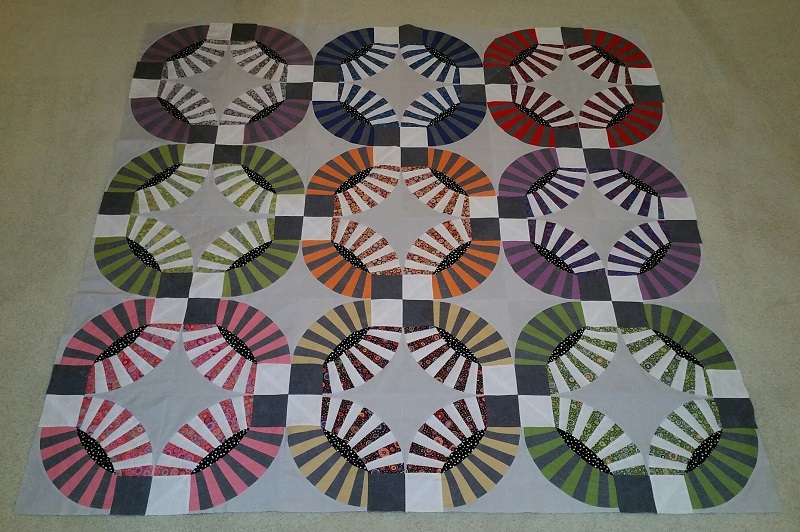 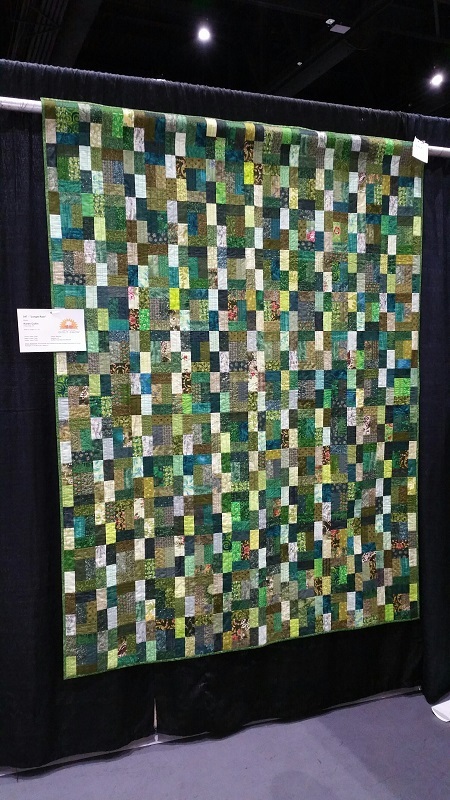 Loved the scrap quilts below- great way to use up green's and pink and browns. 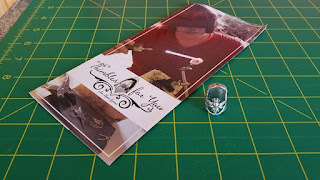 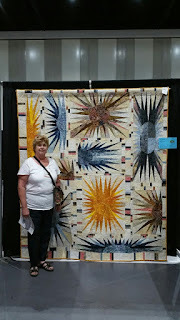 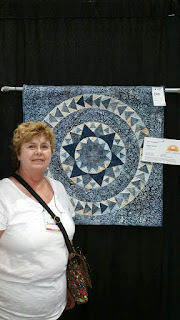 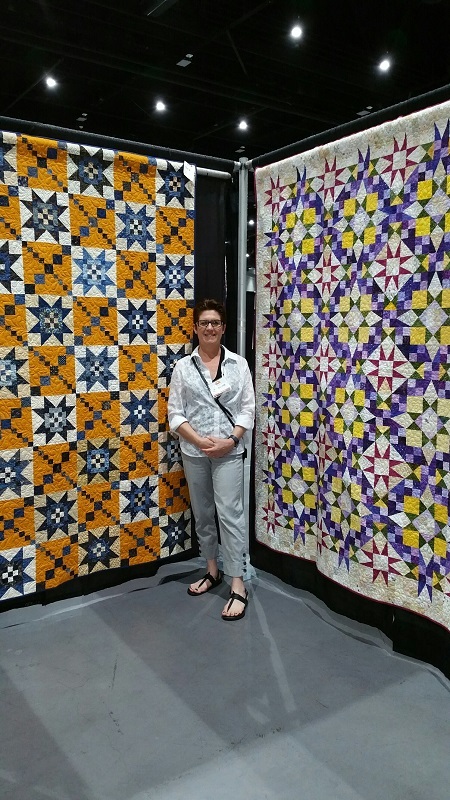 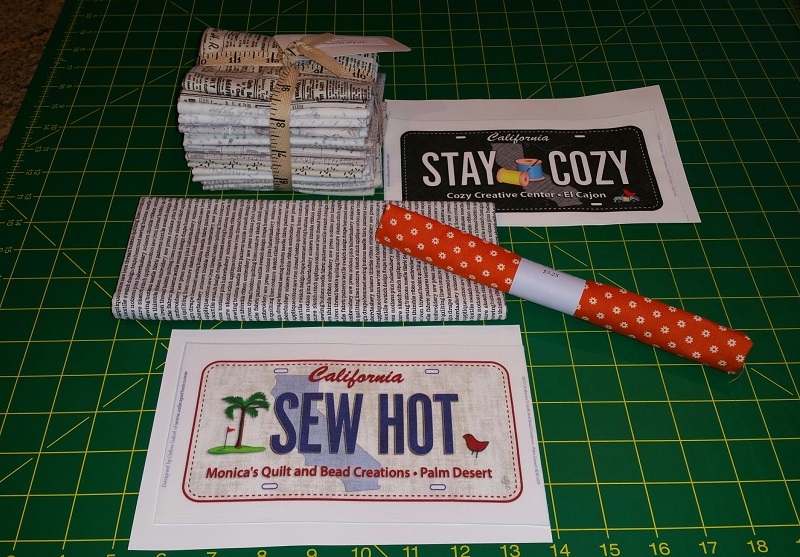 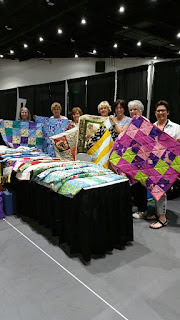 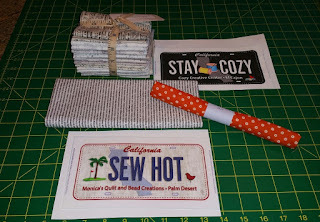 Come back and see some of the great items I found at the Quilt Show!